Inspectors visited the Brookline Arbour hospital for a week last August, and issued a five-page citation on Jan. 19. Workplace safety inspectors have cited Arbour-HRI, a Brookline psychiatric hospital, after discovering that front-line employees suffered broken bones and concussions during interactions with violently ill patients. The Occupational Safety and Health Administration said the hospital “has not developed and implemented adequate measures to protect employees’’ from aggressive patients. Nurses and mental health workers were punched, hit, scratched, bitten, and hit with objects including a soda bottle and wooden dresser drawer, the federal agency said. Arbour Health System is the largest provider of psychiatric care in Massachusetts and is a subsidiary of Universal Health Services, a huge for-profit company that owns behavioral health facilities across the country. Some of the company’s hospitals have a history of questionable care. Inspectors visited the Brookline Arbour hospital for a week last August, and issued a five-page citation on Jan. 19. OSHA initially fined the hospital $12,675. The agency said the hospital should address the lapses by hiring more staff, implementing a “buddy system” for employees responding to violent patients, equipping staff with silent emergency alert buttons, and forming a violence prevention team. According to a Brookline police report, a patient assaulted a nurse with a wooden drawer last May. The nurse told police that he heard a loud commotion coming from a patient’s room. When he discovered the patient was destroying furniture, the patient charged at the nurse with the drawer. The nurse fled down the hallway, but tripped and the patient caught up with him. When police arrived, several staff members were holding the patient on the floor, the report said. Officers charged him with assault and battery with a dangerous weapon. The nurse suffered injuries and was taken to the hospital. 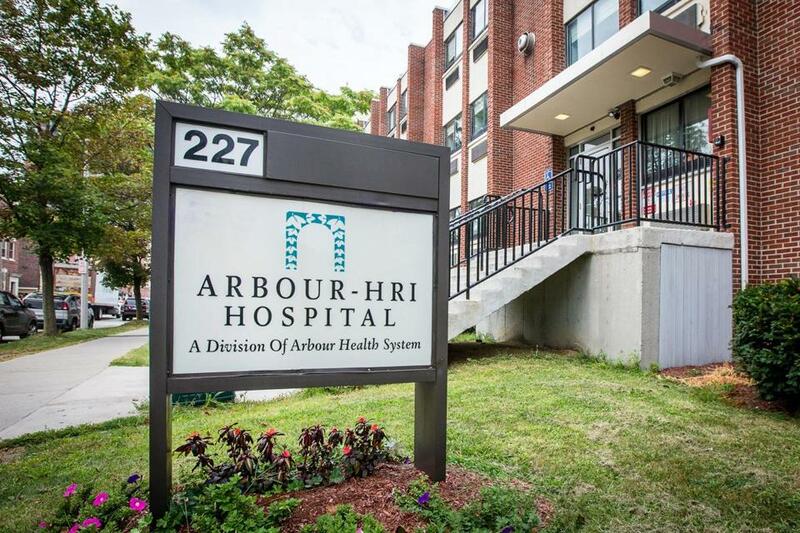 In an unrelated incident, state mental health inspectors temporarily closed another Arbour facility, Arbour Hospital in Jamaica Plain, to new admissions for three days last week. During a surprise inspection Jan. 31, the Department of Mental Health “found a number of procedural violations,’’ department officials said. The hospital developed a plan to fix the problems and began admitting new patients again on Feb. 3. The state declined to provide more information about its findings. Surprise inspections at four Arbour hospitals last year, including Arbour Hospital in Jamaica Plain, found such prevalent patient care problems that state officials took the unusual step of sending in an onsite monitor to oversee improvements. The deficiencies included insufficient staff, failure to check on patients every 15 minutes as required, incomplete treatment plans, dirty bedrooms, and vacancies in key leadership positions.